Project managers around the world use Scrum with their teams to manage workflow and productivity. But what about everyone else? You might not be a project manager, but you still have your own workflow and productivity to manage, whether you contribute to a larger team or work solo. Use our agile Scrum methodology tutorial to discover how you can make Scrum work for you as an individual. Before we get into how you can use Scrum as an individual, let’s review the basics. Scrum is an agile project management methodology (putting Scrum in the agile methodology category with Lean and Kanban). Traditionally, it’s used by teams who want to get more work done at a faster pace. Teams use iterative two-week “sprints” to tackle projects incrementally. These two-week sprints are the most distinguishing feature of Scrum. Each sprint begins with sprint planning, during which the team meets to collaboratively create a backlog—a list of tasks they intend to accomplish during the sprint. Over the course of each sprint, the team holds daily Scrum meetings of 15 minutes or less. Members of the team review the previous day’s work, discuss the upcoming day’s work, and identify any roadblocks. At the end of the two weeks, the team holds a sprint review. Team members look back on the sprint, identifying things that worked well and things that need improvement. This review lets the team make any necessary process changes before beginning another sprint. As a result, the team should work better and faster with each successive sprint. For a more comprehensive agile Scrum methodology tutorial, refer to our introduction to Scrum methodology. Scrum teams consist of a product owner, a Scrum master, and the development team. The product owner represents stakeholders. As such, they should be available throughout the project to field questions and provide clarity to the team, as well as to facilitate communication. The product owner meets with the Scrum master at the start of a project to organize sprints. The Scrum master is also responsible for addressing roadblocks during the sprint, including making handoffs between development team members. The development team is composed of all individuals creating deliverables on the project. This team is self-managed, requiring team members to work collaboratively to deliver the project. As a solo contributor, you’ll have to wear all these hats yourself. Here’s how you can adapt them. In traditional Scrum, the product owner is the go-to source for information about the product. They have the end in mind from the beginning, and they share that vision with the rest of the team. As your own product owner, you must clearly define your end product. Identify features and requirements, and record these in clear detail for later reference. 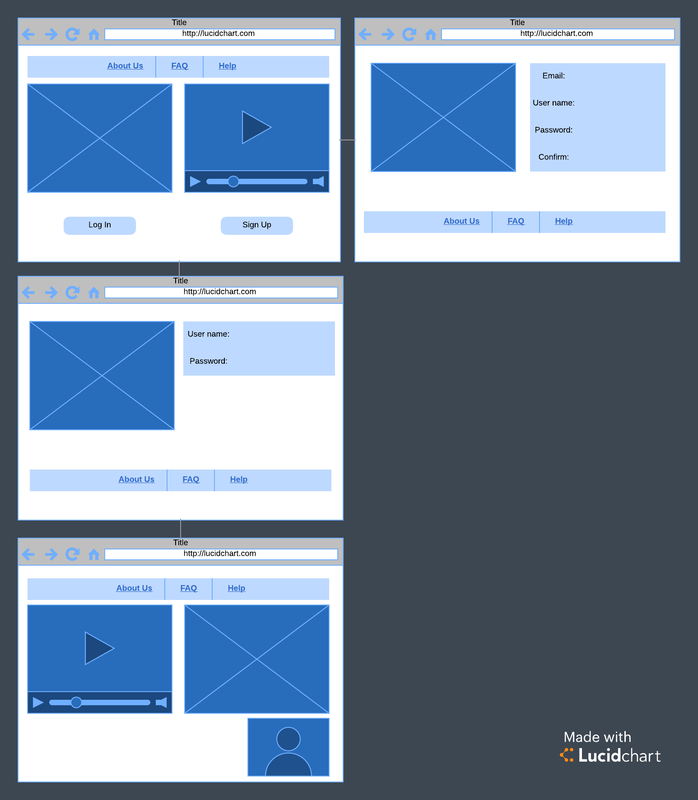 You might even create a basic wireframe to map your parameters. As a product owner, you’ll also need to keep in mind that delivery is your ultimate goal. If you find yourself getting bogged down in the development process, try to look at the project from a product owner’s perspective. As you remind yourself of what is important in the project, you can avoid unnecessary delays because of unimportant details. The Scrum master is conventionally responsible for facilitating a smooth sprint process. As your own Scrum master, you will need to problem solve to remove roadblocks. This requires taking a hard, fair look at your work. If, for example, you find that working solo makes it easy to get distracted, act as your own Scrum master to find ways to stay focused, such as implementing the Pomodoro technique. Likewise, if you keep running up against problems with the requirements, use your Scrum master role to identify the issues and find ways to fix them. Being your own development team is likely the easiest role you’ll take on, as you will simply be doing the work that you would do anyway. Keep in mind, however, that a Scrum development team is self-managed and self-motivated to complete the sprint. Approach your project with that attitude. Also, as your own development team, you’ll need to keep track of process flaws to address at the end of the sprint. While you won’t be improving your collaboration with other team members, you can still improve your own personal process. Keep records throughout your sprint to make this easier. You can use Lucidchart to categorize or cluster notes. Now that you can take on each role yourself, you can adapt the steps of the Scrum process for your own projects. Dedicate time to planning your project. Remember, you’ll need to act as product owner to define the product requirements, as well as Scrum master and development team to plan your process and create reasonable goals for each sprint. 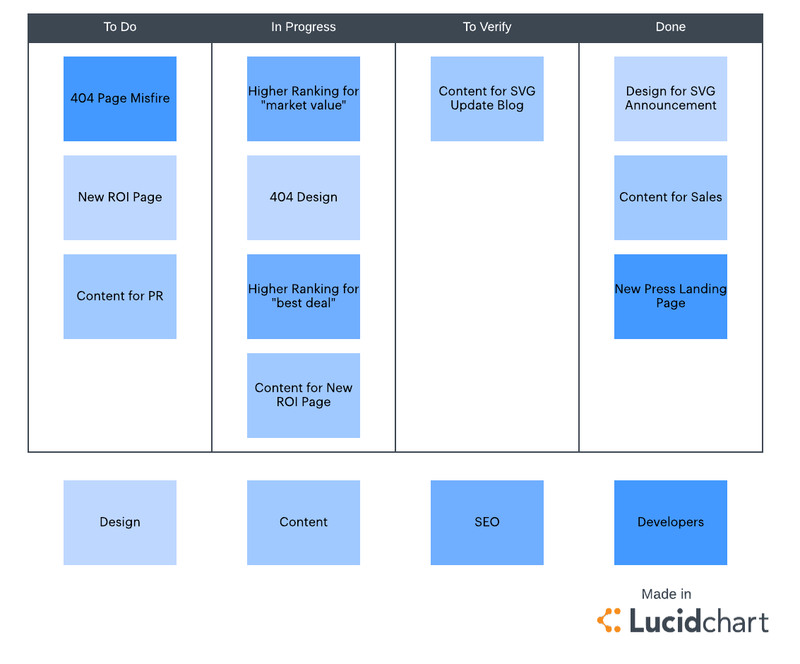 As you plan, you can use Lucidchart to make a detailed process map. This sprint planning phase will guide you through your next two weeks, so ensure you are thorough. Schedule a daily Scrum meeting for yourself and make it a priority. As a solo development team, review your previous day’s work to identify successes and pitfalls. Then, act as a Scrum master to brainstorm solutions for any problems you identified. Plan what you’ll do with your upcoming day, referring to the map you created in sprint planning. At the end of the two weeks, think like a development team to consider the flaws and wins of your sprint process. Make notations on your process map to use during your next sprint planning. Consider the project from the perspective of product owner as well, evaluating how closely the results align with the outlined requirements. There are a few other components of Scrum agile methodology that you might find helpful in your personal process, too. Your product backlog is created at the beginning of a project. It lists all the tasks that must be accomplished by the project’s end, making it easy to see what you have left to do. As an individual, you’ll be solely responsible for completing each task. You can reorganize your product backlog as necessary to reflect the project’s changing priorities. You’ll draw from this product backlog to create your sprint backlog. Your sprint backlog is created during sprint planning, and it lists all the tasks you must accomplish during your two-week sprint. As your own development team, you can reprioritize these within your sprint to facilitate their completion. A burndown chart serves as a visual display of what you have left to do in a sprint. This chart makes it easy to see your progress with a quick glance. You can use Lucidchart to easily create and adjust your burndown chart. As you adapt Scrum methodology to manage your individual work, you won’t be able to perfectly recreate a team Scrum process, but you will be able to benefit from many of Scrum’s strengths. You’ll be able to incrementalize your workflow, create a smoother process, and prioritize the most important tasks. Scrum will require you to set clear expectations and to adapt your processes with each sprint. You can accomplish all of these goals with Lucidchart’s customizable templates and process charts. 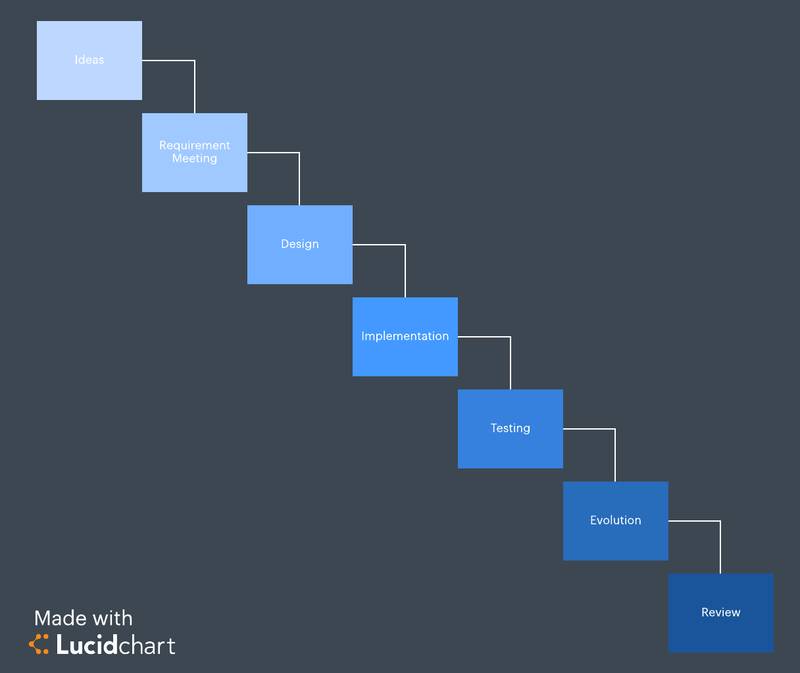 With Lucidchart, you’ll be on the path to successfully Scrum on a team of one.